He moved to South Africa for his High school first at Highlands North Boys then matricated at Fourways High all schools in Johannesburg. He moved back to Zimbabwe in 2000 to apply for a visa to the U.S.A and got denied even though he got a scholarship from St.leo University. While crying about the ordeal, he decided to embark on what he enjoyed to do, entertainment. He dropped his first single together with Malawian Musician Frank Gomani. Record went to number one on the charts. The single was called “Tikuchenjezeni” which mean let us warn you-in Chewa. This was the start of his journey into African entertainment. After his second release titled “Sihlobo” in 2003 , Arthur ventured into television joining ZBC’s popular youth show called “Youth dot com” According to Arthur, it was to be his show for three years. He won awards including National Presenter of the year two years in a row as well as a journalistic award for “Arts and Entertainment Journalist of the year” in 2006. He took over “Sisonke mix” a live urban music-video show in 2005 while still presenting “youth dot com”. It was his ground breaking experience as it was a first for the National Broadcaster to have weekend Prime-time television dominated by one presenter. 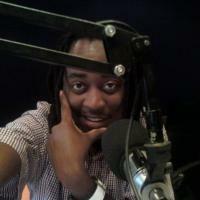 In 2006 at age 25, he opened a Broadcast school strictly for presenters, offering presentation techniques in audio (for radio) and visual ( for television) in its first year the Riimz broadcast academy had 150 enrollment in the short-term courses. His partner in this venture was Former Five Fm Dj Tich Mataz. "I looked back at this point and realized that all I knew was one broadcaster(ZBC) he says, "I needed more experiance as well as the academic qualifications for what i was doing". In that same year that Arthur was Zimbabwe’s face of Africa’s biggest Hiv-Aids campaign to date “Holla Africa” . He embarked on Broadcast Experience through applying my trade in different countries namely Malawi, Tanzania, Zambia and then in 2007, he got the phone call to join Channel-O radio. After Just under a year with Channel-O he moved into Corporate radio to get a feel of how business is run, firstly with Shell fm then in Mid 2008 found a home within Raymond Ackermans multi Billion rand empire Pick n Pay. He does the morning Breakfast and speak to our 52,000 employees while welcoming our millions of valued shoppers found in our 800 stores nationwide. Wits University in 2009 Honoured me with a bursary to do a one year Advanced Broadcast program worth R16 000. I Finish this program in 2010. He broadcast on Kaya fm 95.9 a leading commercial radio in South Africa as well as Pick n pay radio. He also presents on TV. He has a daily Tv show on Mnets Africa magic channel 114 called Africa Awakes. He plays as a deejay at various top Clubs such as Moloko and Cassablanca.